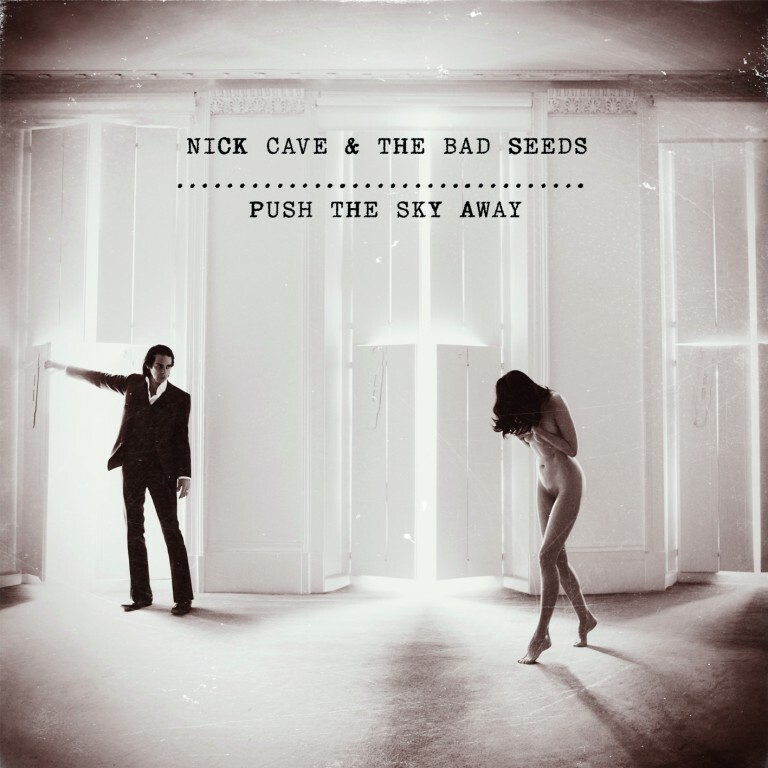 After putting his energies into visceral Grinderman and movie scores, Nick Cave has teamed up once again with the Bad Seeds to focus on the new record Push the Sky Away (out Feb. 19th). Aurally, this is a very restrained effort. It's not the piano-based records we heard in the early 2000s, but the arrangements are less bombastic than usual. It's also a true record. None of the tracks really demand attention or separate themselves from the others. As such it forces you to listen to the album in its entirety to get the proper experience. There's no dipping in and out for a single. From the opener "We No Who U R", the record is subtle, lovely, and threatening. I'm not certain I want Nick Cave to know who I am. It doesn't seem like a good thing. The most raucous moments are on "Water's Edge". Horns slither underneath a sinister layer, giving the song a Murder Ballads vibe. "Jubilee Street" is vintage Cave. He seems to rattle off vivid, poetic, and often disturbing lyrics ('fetus on a leash') with almost no effort. He offers a more unique twist with "Finishing Jubilee Street", a song based on the writing of a song. Cave continues his fascination with American gothic imagery and demons. It manifests most obviously on "Higgs Boson Blues", which makes repeated references to blues legend Robert Johnson. Push the Sky Away is a way to ease back into the Bad Seeds experience. Consider it a Grinderman detox for both performer and listener. Nick Cave & the Bad Seeds play Massey Hall in Toronto on March 23rd. Best tracks: "Jubilee Street", "Higgs Boson Blues"